We are delighted to consistently be one of the top rated Seattle carpet cleaners and we have you, our amazing community to thank for that. 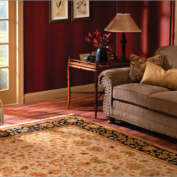 Our mission continues to be to help you, our customer, bring that new carpet look and feel to your older carpets. 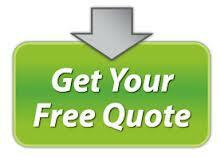 Our goal is to provide you with the highest quality service. We guarantee that after your carpets are cleaned by one of our service professionals, you will have a cleaner, fresher, and healthier home or business. 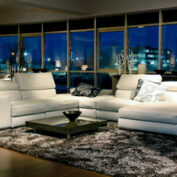 The entire feel of your home or office will change with the simple cleaning of your carpets. 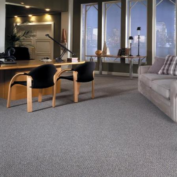 Your carpet represents a huge investment you have made in your home or business. The beauty and design of your home or office-space deserves professional care and expert maintenance treatments for its long-term usage. Call us today to schedule an appointment for carpet cleaning services. We will give your carpet a like-new appearance. By having us provide cleaning services, many years of life will be added to your carpets. We are here to get your carpets looking fabulous – no matter what the challenge is. Does your carpet have stains from little ones spilling food or from employees tracking in dirt, grime, and chemicals? Please call us today and schedule your cleaning service appointment. We will do our best to make your carpet look as new as possible. Our goal while cleaning your carpet is to restore it to as close to its original condition as possible, and extend the life of the carpet. Reliable Carpet Cleaning uses only safe, organic, non-toxic and non-irritant products to deep-clean all types of carpets, rugs, upholstery and floors, based on the manufacturer’s approval only. By having your carpet professionally cleaned, you are giving your carpet the deepest cleaning possible. This means that your carpet will once again be looking fresh and new. This type of thorough cleaning means that your children or employees with allergies will have a home that is cleaner and has less allergens in it. This gives you peace of mind and gives your children, employees, or visitors a safe place to enjoy breathing. Business owners know that a clean carpet means that your clients, customers, and employees will be less likely to experience an allergic reaction while in your place of business. We have provided hundreds of carpet cleaning service calls, and have the satisfied customers in both Seattle and the entire Puget Sound to prove it. Carpet cleaning is our expertise and we take it seriously. 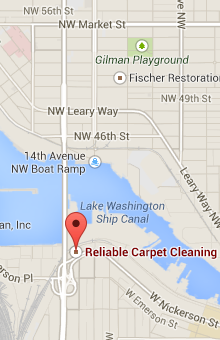 We know that in Seattle, carpet cleaning is not a once a year service. The rain, mud, and occasional sleet makes for a dirty carpet. The more foot traffic you have, the more often your carpet may need to be cleaned. Our professional service technician will speak with you during the service appointment about setting up a regular cleaning maintenance schedule. We know that with all of the liquid sunshine (also known as rain) we get here in the Pacific Northwest, all of our homes and businesses need regular carpet cleanings. We understand that the process of having carpets cleaned may be daunting if the temporary relocation of equipment and furniture is involved. Please speak with our office staff to discuss what may or may not need to be relocated before our team arrives for your cleaning appointment. We also know that carpet cleaning in Seattle can seem like a never-ending process if the wrong chemicals are used on your carpet or if the cleaning is done incorrectly. We go strictly by the manufacturer’s cleaning preferences, and we do the cleaning of your carpets correctly. Customer service is our number one priority, and we want to be your Reliable Carpet Cleaning company for years to come. We look forward to speaking with you, so call today to schedule a cleaning appointment!